SALT LAKE CITY -- Junior high students in the Granite School District say their teacher made them duct tape their mouths shut for talking in class. The punishment took place at Wasatch Junior High on Monday. On Tuesday, the Granite School District placed the teacher on administrative leave. Potentially a handful of students received the same punishment, school district officials said Tuesday. Their parents says it's bad enough when kids bully other kids, but in this case they feel like it was the teacher who was the bully. "For a teacher to humiliate him in front of the classroom made me very concerned for my son's safety," said parent Tara Dimoh. Dimoh received a selfie from her 12-year-old son on Monday. He said his computer teacher made him duct tape his mouth shut, for 40 minutes, because he was talking in class. "And I asked him and said why would you put that on your mouth and he said, 'she told me to and you said I have to respect teachers and adults and she was mad and I was afraid she would do something worse,'" Dimoh recalled her son saying. Dimoh said her son hasn't been the same since the incident. "He came home and just wanted to lay on the couch and pretty much moped the rest of the night and the next morning he didn't want to go to school," Dimoh said. "I don't want this to happen to any other kid. I wish she would have called me or emailed me if my son was a consistent problem." 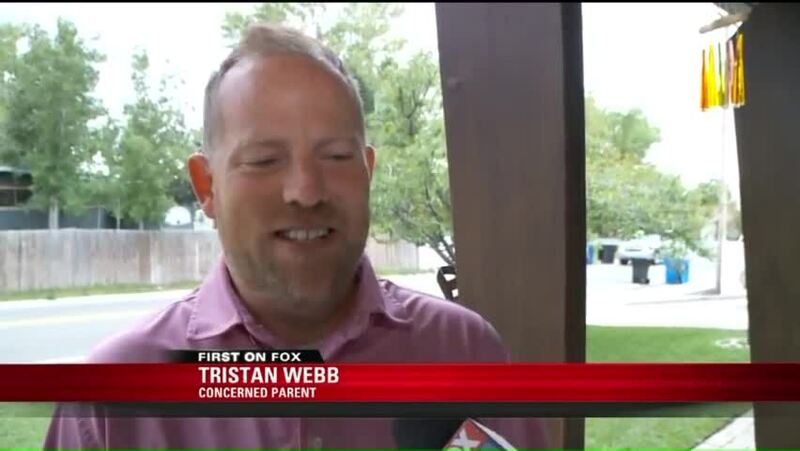 Tristan Webb's son was in the same class and received the same punishment for talking. "This was a black and white issue that didn't need any second guessing it was obviously over the line," Webb said. The school district said they do not condone the teacher's actions. "It was a very inappropriate classroom management technique and certainly we shouldn't be having kids put duct tape on their mouths. That's just not appropriate," said Ben Horsley, spokesman for the Granite School District. These parents also want to know why the teacher was back in the classroom the next day. "We felt that there should have been a quicker response to protect the children," Webb said. The district said the teacher didn't pose a safety risk, which is why they opened up an official investigation before placing her on administrative leave. "It's hard to determine whether she was kidding, teasing in an inappropriate way, or if she was serious, there are three days left in the school year, I can't speculate on her motives," Horsley said. This teacher is expected to face disciplinary action, but the severity has yet to be determined, according to Horsley. FOX 13 News reached out to this teacher for comment but she declined an interview. She has been teaching for more than 20 years with no previous issues according to the Granite School District.